100% Safe . 100% Secure . Detect and review all your recoverable files absolutely free! 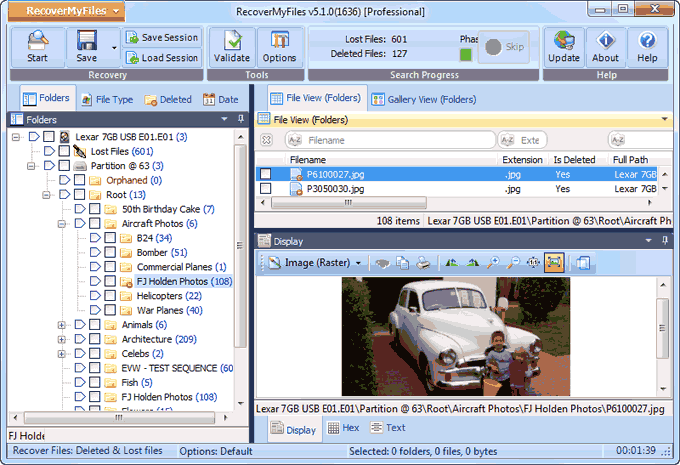 Recover My files is easy to download and use (only 4.64 MB). It performs a complete recoverable file scan on your computer. 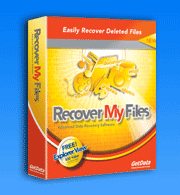 Identifies and offers to restore nearly any type of lost or previously deleted file. Yes, I want to search for recoverable files. Download and Scan my computer, FREE! Recover Lost Files and Data with Ease! Recover My Files makes recovering data a breeze - simply download the hard driver scanner, select scan now and then view images and documents of every file that was deleted or you thought was deleted. You can then click recover to bring any file, picture, spreadsheet or even email - right back to life! even after the latest virus has wreaked havoc on your PC. How does Recover My Files work so well? In many cases when you click delete or when you have an unexpected software failure - The contents of the affected file are not completely gone, just the reference to the file, its icon or file/folder name. We search your entire hard drive at the code level and analyze file structure and data characteristics and then present it to you in a visual, identifiable format. Once we locate your file you can simply click recover, and your worries are over. Keep Recover My Files on your desktop for easy launch and recovery any time you need it! Data Recovery is much easier than you think. Download Recover My Files right now and see for yourself! Recover My Files is Fast and super easy - Just a few clicks and your files are back. Yes, I want to Download my free trial copy of Recover My Files right now!